Since deployment in September 2016 the National Express Bus app has seen strong growth, with the number of ticket sales growing. 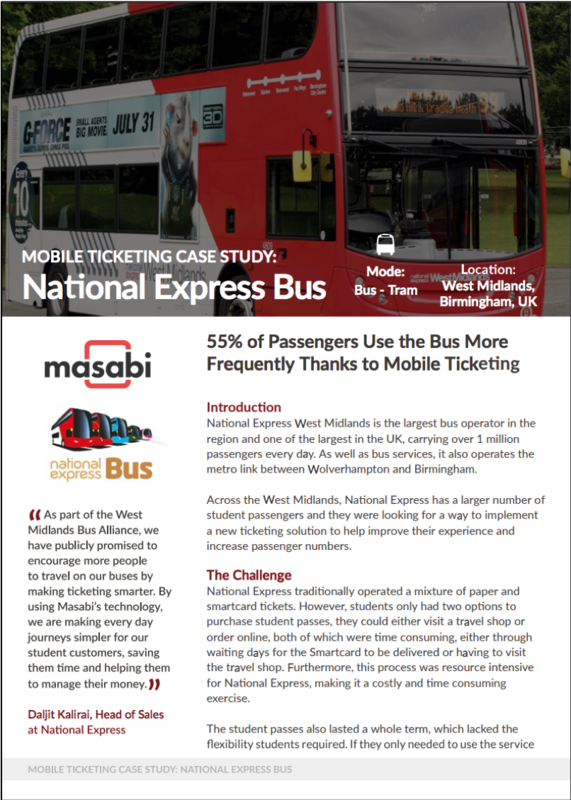 This case study looks at why National Express West Midlands chose mobile ticketing to improve the rider experience and help solve the issues they were having with issuing student passes. It also explores the results from a passenger survey about their experience with the mobile ticketing deployment.